Wrocław based patriotic clothing firm Surge Polonia have come under fire for releasing a t-shirt with an Auschwitz silhouette and the slogan '#GERMANDEATHCAMPS'. 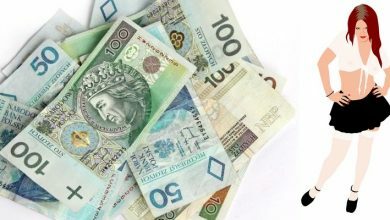 The t-shirts, which cost 89zł each, were revealed via a picture posted to Surge Polonia's Facebook page on Tuesday. All of the profits from the sale of the shirts is to be donated to the government funded germandeathcamps.org campaign. The release of the shirt comes amid the controversy over the Polish Government's legislation on the subject of the holocaust. 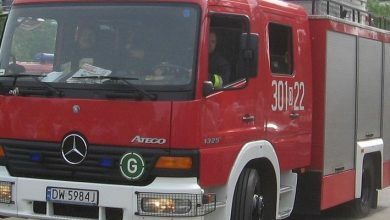 Not long after the image of the t-shirt design was posted, a swave of negative comments appeared – even from some of the company's loyal customers. "It is the duty of every Pole to care for the good name of Poland and Poles. We do not agree to the use of the term "Polish death camps". Via a shirt we want to manifest the historical truth that we unfortunately have to fight for every day. Attention! All profits from the sales of the #GERMANDEATHCAMPS t-shirts will be donated to germandeathcamps.org. The historical subject matter of all kinds has always been present on Surge Polonia's designs ever since we were founded. We often touch on difficult and ambiguous stories. We do this on T-shirts, sweatshirts, etc., and, for example, well-known and widely read weekly magazines in our "History" section. We hope that the promotion of historical truth will not be effectively prohibited by any law! Please help us promote the idea of ​​modern patriotism." Although the slogan on the t-shirt does indeed represent a 'historical truth', large numbers of people have criticised the design for being in bad taste. One Facebook user replied: "Is it just me or is wearing an image of an extermination camp a bit of an own goal?" Another wrote: "This is not a theme for a t-shirt – placing the end of millions of lives on your chest. It's zero level." The criticism didn't just come from people who don't normally follow Surge Polonia either. One user who described himself as a "regular client" said that the product should be pulled as soon as possible. 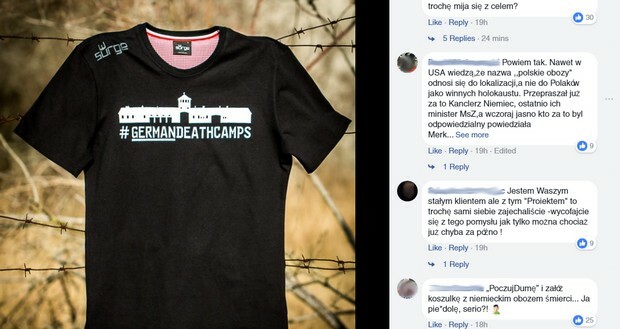 Another follower of the Surge Polonia fanpage commented: "I think it's a bad idea, the t-shirts were supposed to be patriotic – referring to death camps is a bit off-track.". 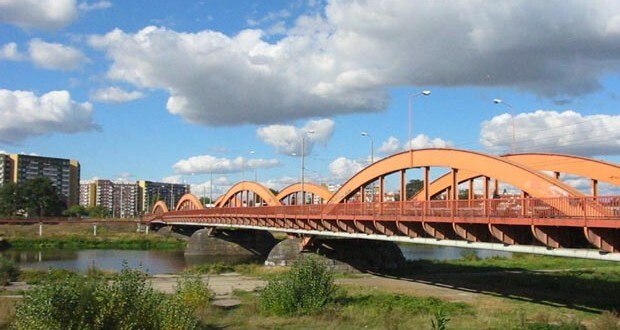 In recent years Surge Polonia have been known as one of Wrocław's business success stories. The founders of the company, Wojtek Setny and Mateusz Staroń, brought patriotic clothing into the mainstream thanks to their bold and powerful designs. In 2015 they were even given a '30 Creatives' award by Wrocław City Council, while a year later the duo opened Surge Polonia's first retail branch in Arkady. However Wojtek and Mateusz's success has spawned countless other firms keen to tap into the demand for 'patriotic products'. This, along with other factors, could be making life a bit tougher for the company to make repeat sales. Therefore new designs such as the one above presumably become more important. 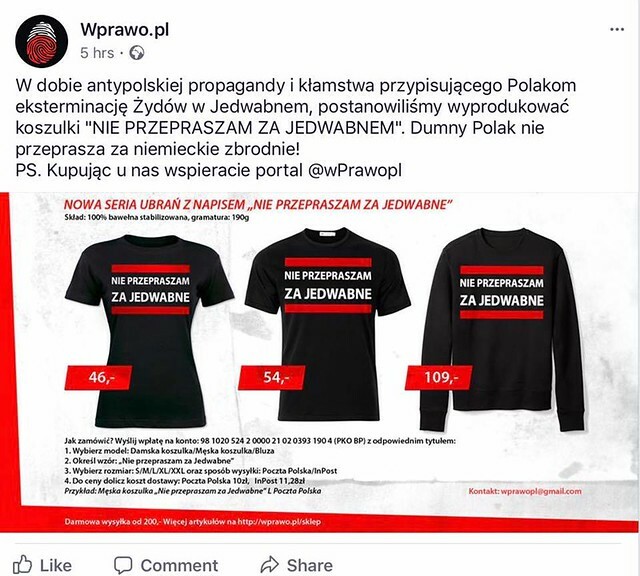 A little over two weeks ago another 'patriotic' clothing firm also attracted controversy for releasing a t-shirt with the slogan "'I don't apologise for Jedwabne".